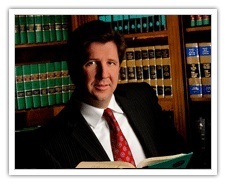 Published on: December 10, 2013 | J. Bradley Smith, Esq. 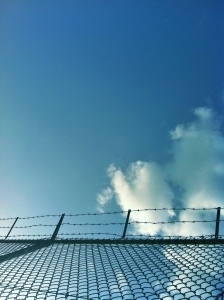 A range of new laws went into effect earlier this month, some that stiffen penalties and others that actually reduce jail time for some offenses. The new laws, which were implemented on December 1st, are estimated to save the state over $2 million per year thanks to the reduction in police resources normally spent on jailing individuals and paying for court appointed attorneys. In North Carolina, misdemeanors are classified as Class One, Class Two or Class Three, with three being the least serious offense. Under the newly implemented laws, many Class Two offenses will now be changed to Class Three offenses and will able to be dealt with by simply paying a fine. By paying the fine, offenders can avoid the prospect of jail time and will no longer need to use a court appointed attorney to handle the matter. Examples of some misdemeanors that changed from Class Two to Class Three include obtaining property by worthless check, driving while license is revoked, failure to notify DMV of address change, applying too much tinting to a vehicle’s windows or driving more than 15 miles per hour over the speed limit. Beyond this reduction in severity, other misdemeanors have now been reduced to infractions. These include things like operating a vehicle with an expired license, failure to sign vehicle registration card and fishing without a license (yep, that used to be a misdemeanor crime). It’s great news that the above low level offenses were reduced in severity and can now avoid slowing down the already overburdened criminal justice system with such small matters. However, North Carolina lawmakers also devoted time to crafting laws that would stiffen criminal penalties for some crimes. The main focus of these changes has been on child abuse. With the passage of Kilah’s Law, Caylee’s Law and Lilly’s Law, legislators have attempted to curb child abuse by allowing law enforcement to punish offenders even more severely than before. Kilah’s Law is named after Kilah Davenport, a young girl from Charlotte who was nearly beaten to death by her father. The law increases the penalties for child abuse offenses to between 15 and 33 years, depending on the nature of the crime. “New NC Laws To Know Starting December 1,” published at DigiTriad.com.